F8 2016: Facebook Surround 360 camera launched. 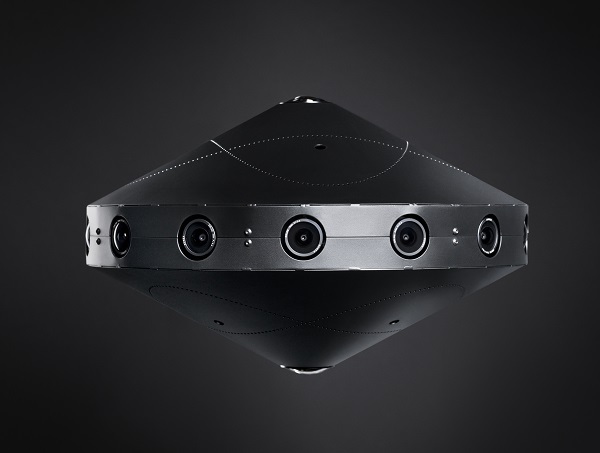 Facebook designed and built a 3D-360 camera system called Facebook Surround 360 that produces sharp, truly spherical footage in 3D. The system includes stitching technology that seamlessly marries the video from 17 cameras, vastly reducing post-production effort and time. 360 videos have been created with a special set of cameras to record all 360 degrees of a scene simultaneously. This means that when the video is playing, you can view it from different angles. Facebook Surround 360 camera design and stitching software code will be available on GitHub for anyone to contribute to, build on top of, improve or distribute.